During my stay in Hong Kong I also had two days of sightseeing together and made a trip to Victoria Peak for the best city view in the world and a breathtaking panorama looking down on Victoria Harbour. With my Chinese collegues I also had the privilege to visit Lantau Island and the impressive Big Buddha Statue up the hill. 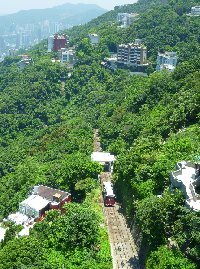 To get to the highest point we travelled by cable car which was a great travel experience. Back in Downtown Hong Kong it was straight back to business but I defintely enjoyed my stay in Hong Kong and hopefully will sometime soon again in the near future. 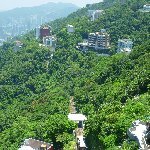 Did you enjoy Hong Kong business trip and have you been on a holiday in Hong Kong Island, Hong Kong? 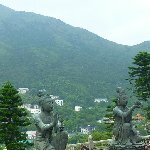 What to do in Hong Kong Island: Make a cable car trip up to Lantau Island and visit the Big Buddha. 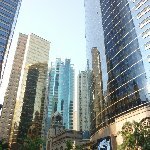 Where to eat in Hong Kong Island: We had a business lunch at Nicholini's, a great place to taste a bit of Italy in the heart of Hong Kong.